Dec 1 2011 White Rock and South Surrey Market Update Reports. White Rock and South Surrey Residential Detached housing market has had a relatively stable real estate market for 2011. Both February to May were near record home selling months of strong home sales and the rest of the year has had a stable to poor %SOLD (STR: sell through rates). 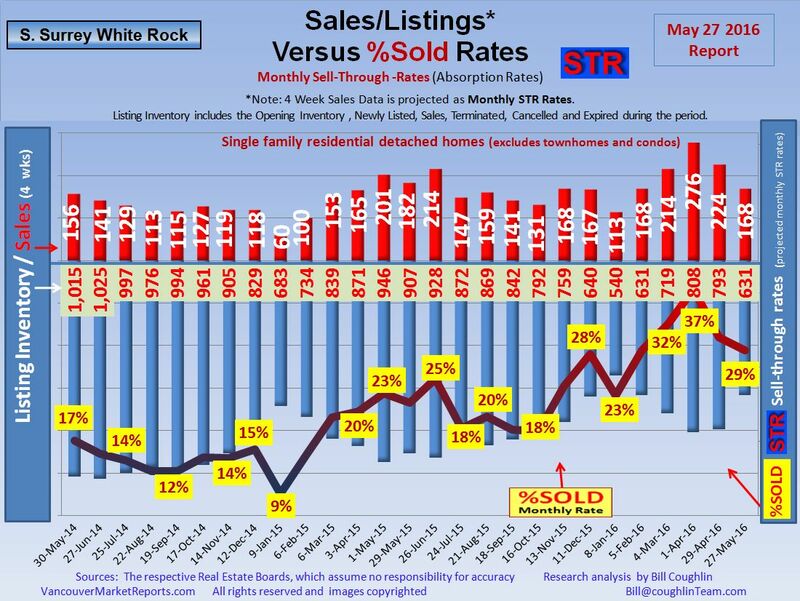 Currently the South Surrey and White Rock Real Estate inventory levels are higher than normal and the 11 %SOLD rate is weak making it still a buyers market.